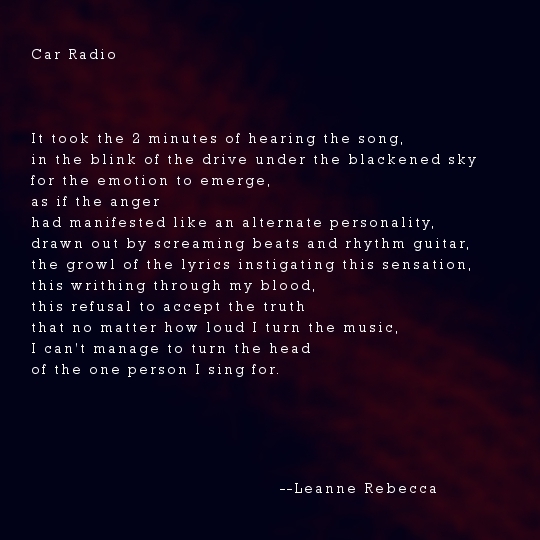 Tonight’s poem is titled after the Twenty One Pilots song “Car Radio,” as part of my normal Saturday Series–poetry inspired by the titles of all TOP tracks (check out the ARCHIVES HERE). I don’t often speak to the meaning of my verse, but tonight I will admit that I wrote this one exactly 2 minutes ago under the influence of raw emotion. This one’s a true story and an utterly honest depiction of my drive home from work today. As always, check out the Twenty One Pilots version of “Car Radio” below!